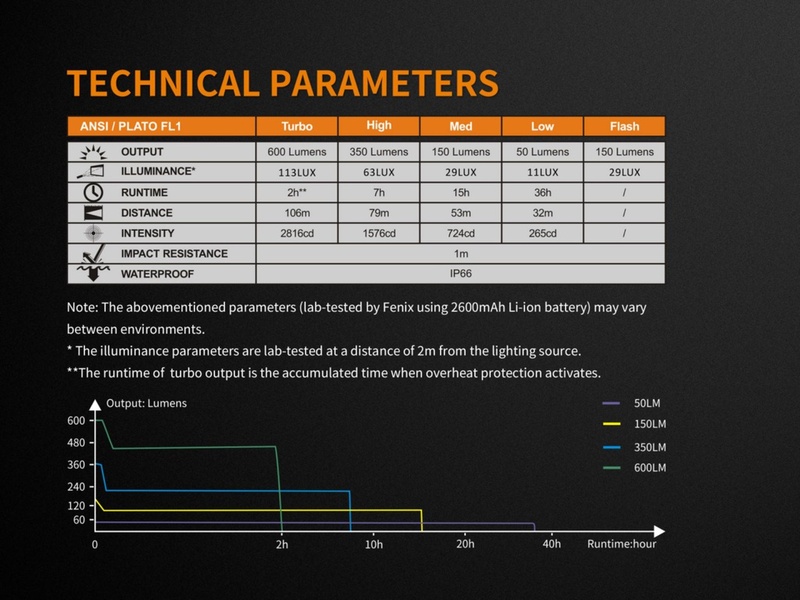 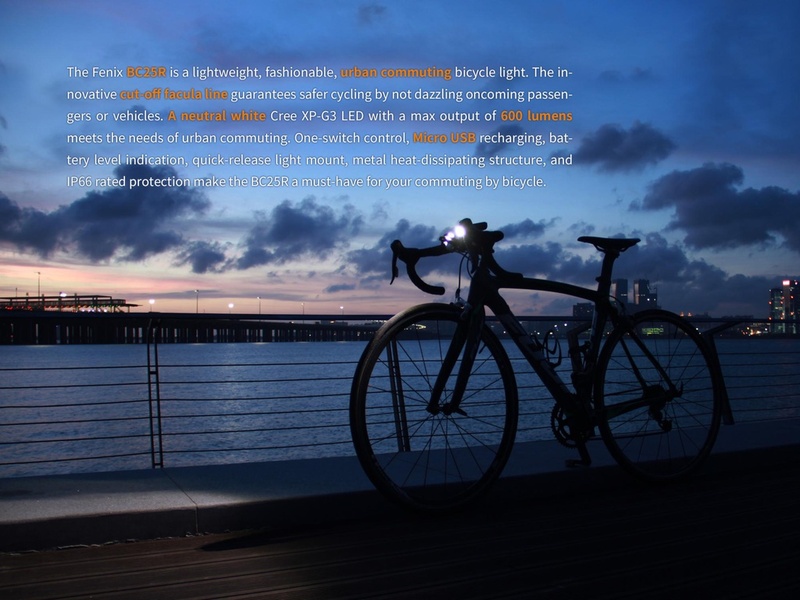 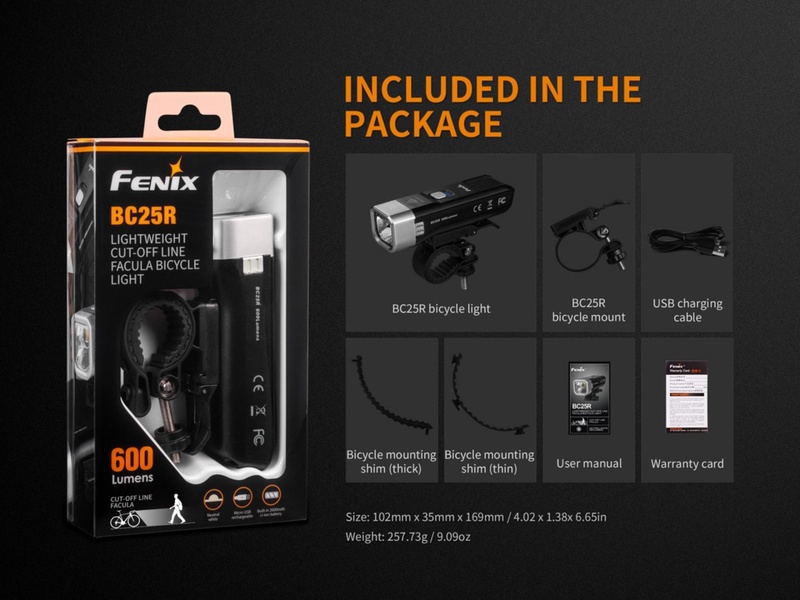 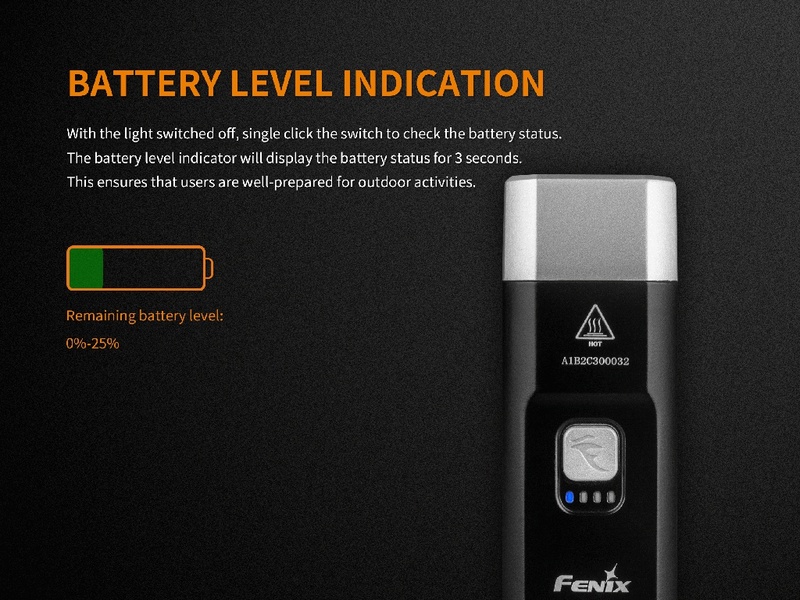 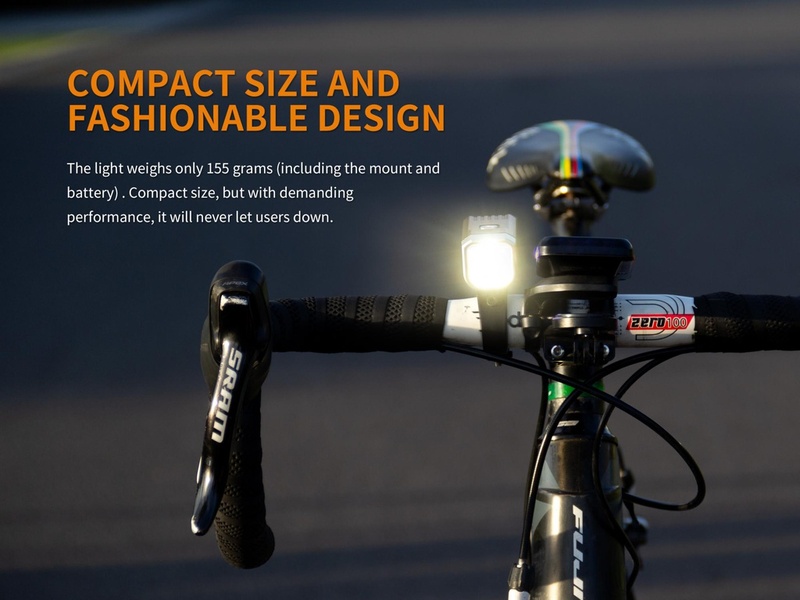 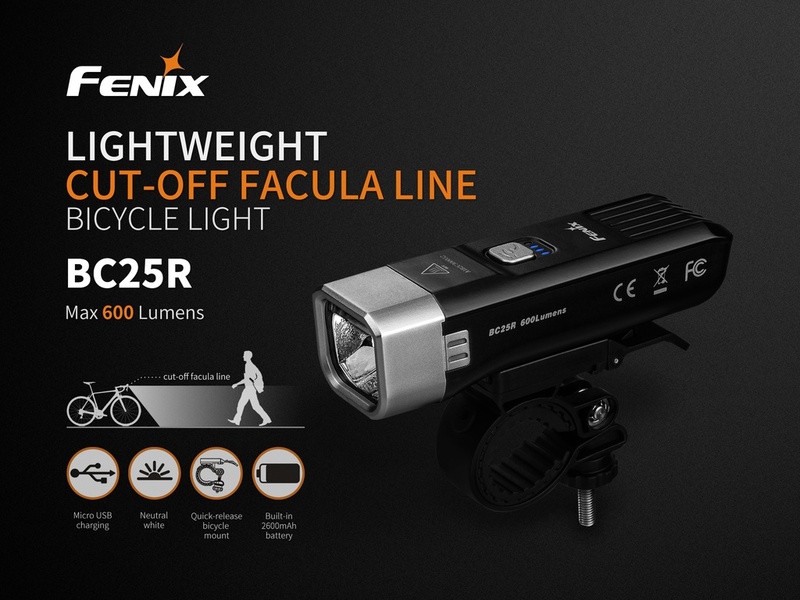 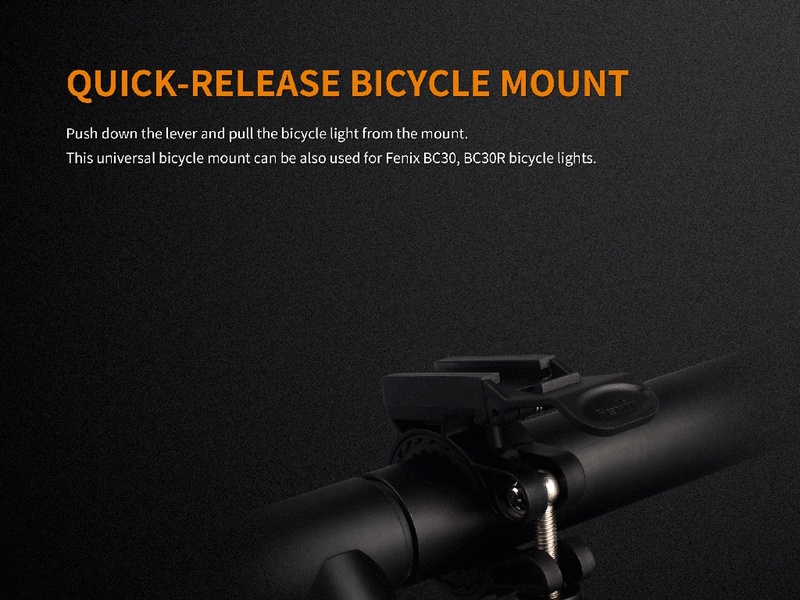 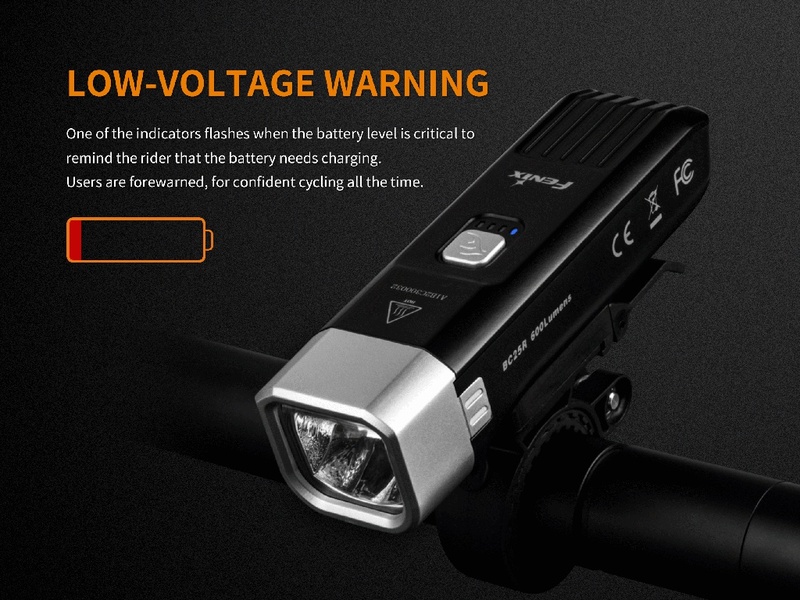 Fenix BC25R is a lightweight, fashionable urban commuting bicycle light. 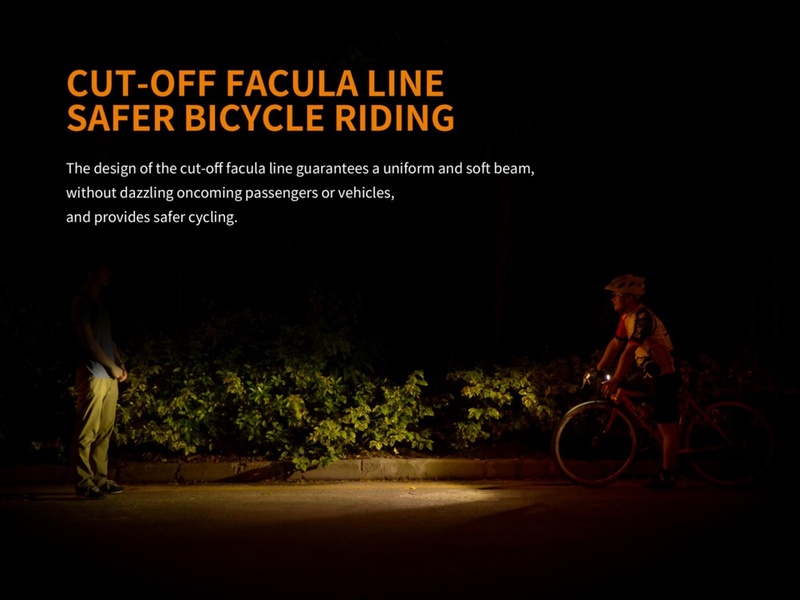 The innovative cut-off facula line guarantees safer cycling by not dazzling oncoming passengers or vehicles. 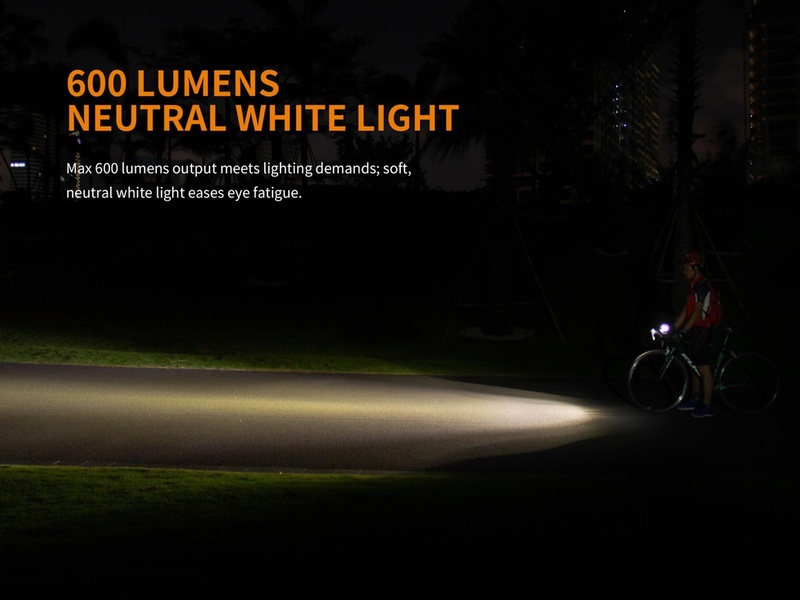 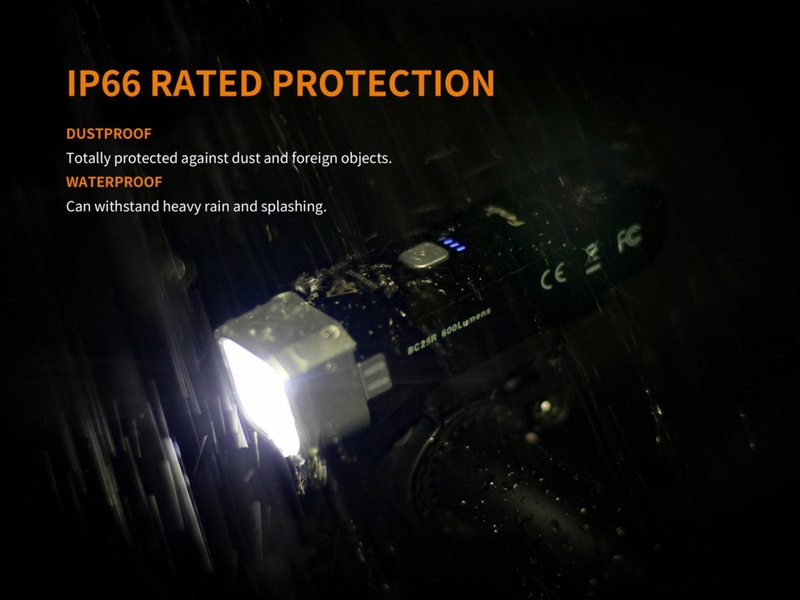 A neutral white Cree XP-G3 LED with a max output of 600 lumens meets the needs of urban commuting. 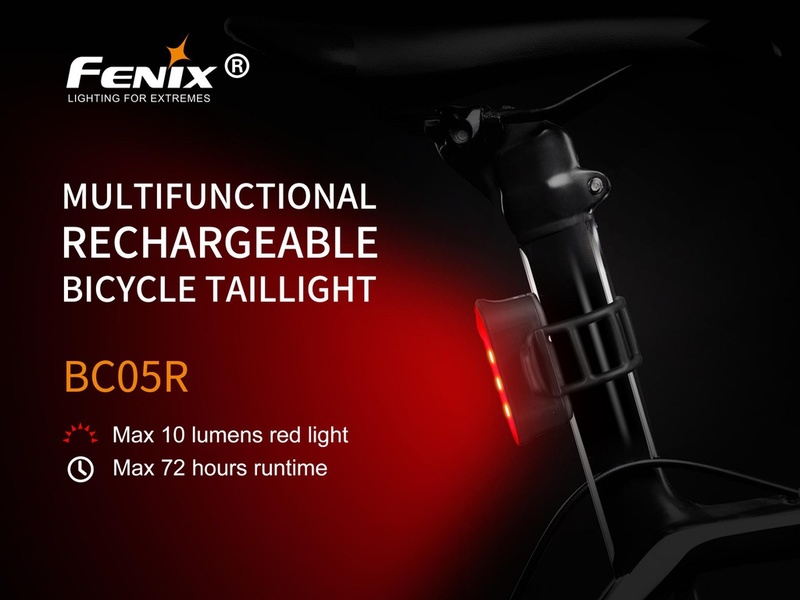 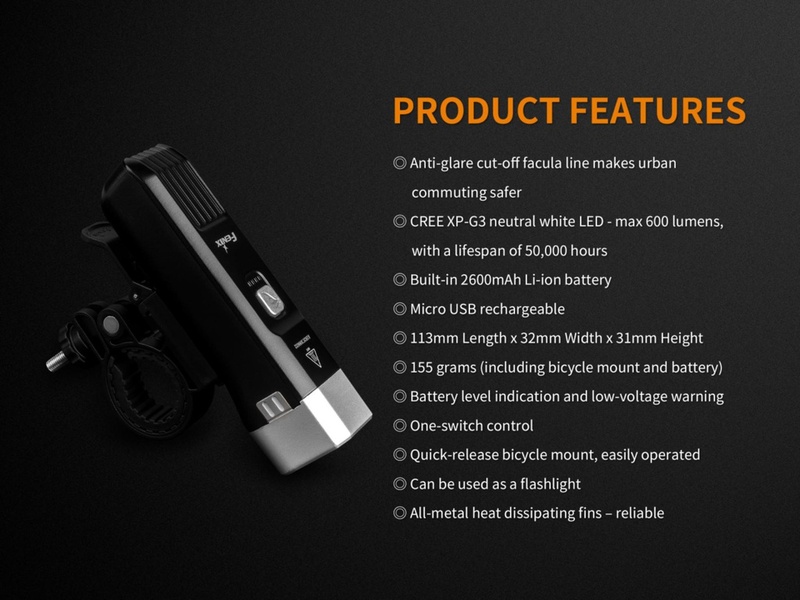 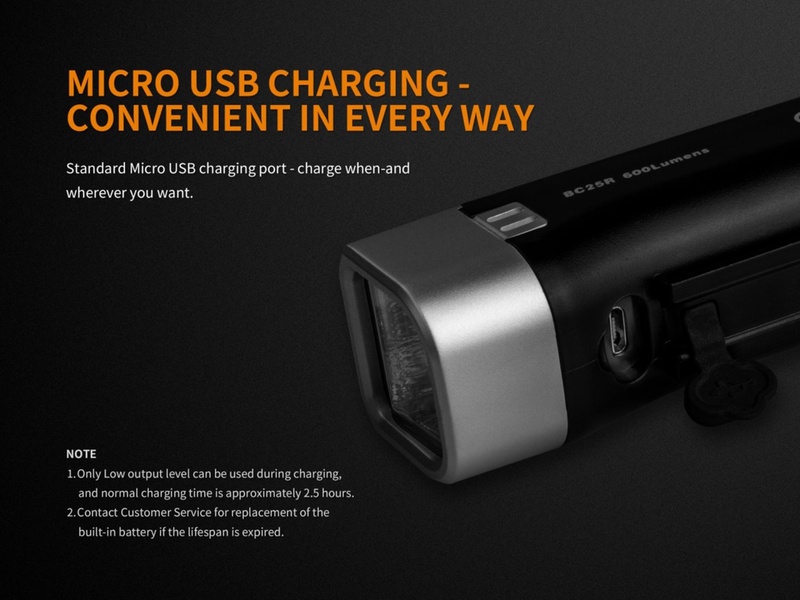 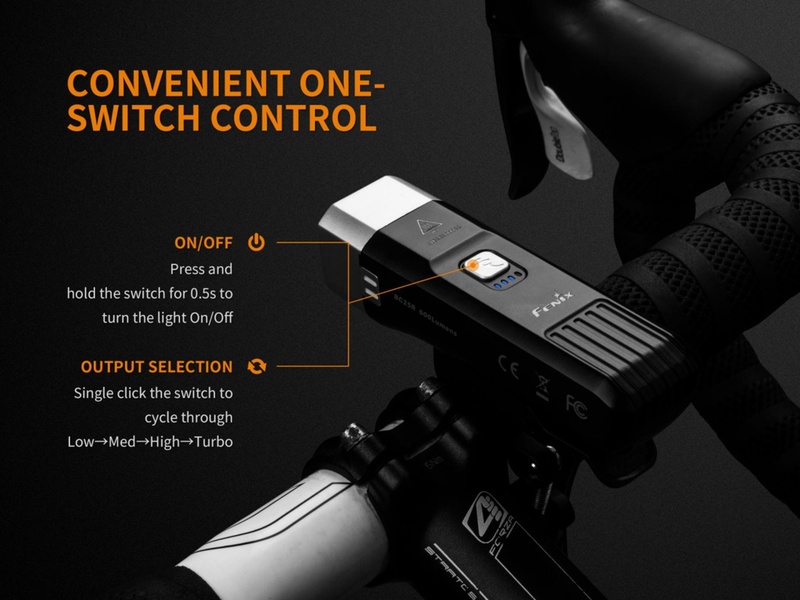 One-switch control, micro USB recharging, battery level indication, quick-release light mount, metal heat dissipating structure and IP66 rated protection make the BC25R a must-have for your commuting by bicycle. 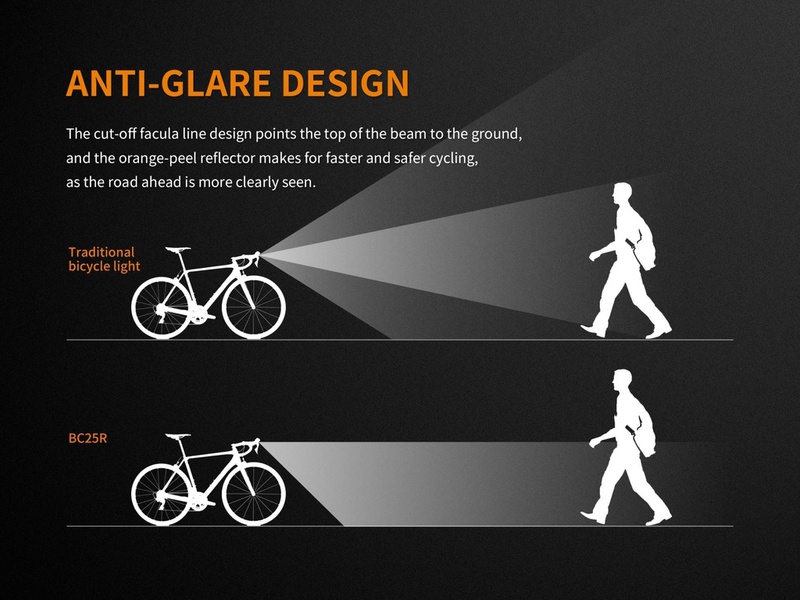 Anti-glare cut-off facula line makes urban commuting safer for oncoming persons.